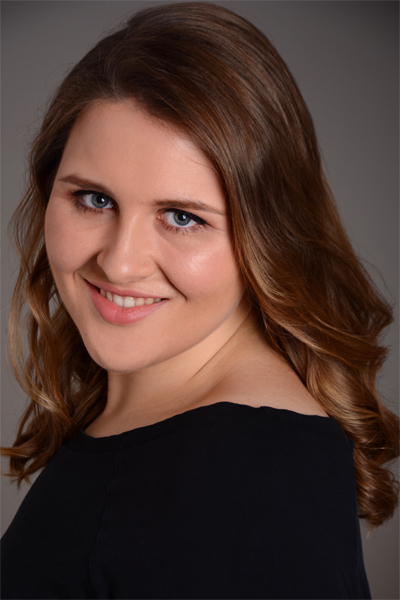 Scottish soprano Lucy Anderson is currently undertaking the first year of the Opera Course at the Guildhall School of Music & Drama, under the tutelage of Janice Chapman. 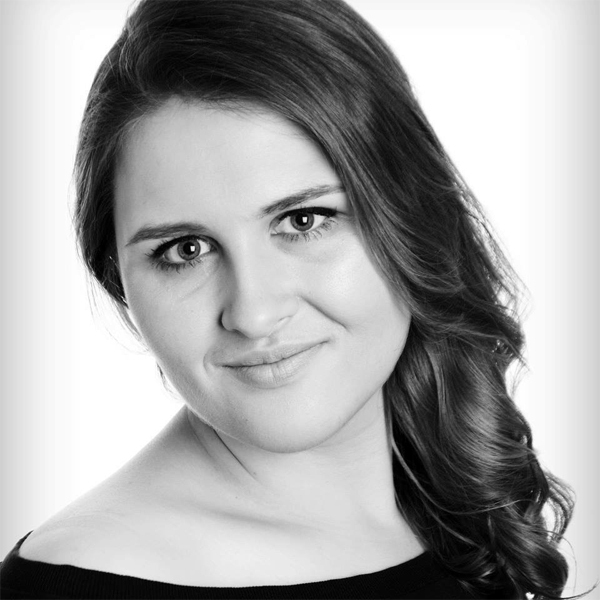 Lucy recently graduated from the Master of Performance programme at the Guildhall School with Distinction, and also holds a BMus(Hons) from the Royal Conservatoire of Scotland, having studied with Kathleen McKellar-Ferguson and Patricia MacMahon. Lucy is the recipient of the Frances Collins Award, a Sir James Caird Travelling Scholarship, a Mary Gillespie Award and is generously supported by the Robertson Trust and the Worshipful Company of Barbers. 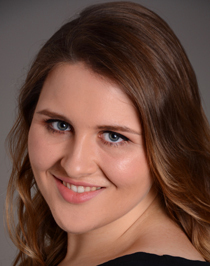 Lucy has also been awarded the Mary D Adams Scholarship, the Norma Greig French Song Prize and in 2015 reached the semi-final of the Mozart Singing Competition. Lucy has participated in masterclasses with Dame Felicity Palmer, Graham Johnson, Edith Wiens, Malcolm Martineau, Amanda Roocroft, Julius Drake and David Gowland. Principal roles include Iolanta (cover), Iolanta (Guildhall School), Mrs Julian, Owen Wingrave, Blue Fairy, The Adventures of Pinocchio, La Ciesca, Gianni Schicchi (Guildhall Opera Course Scenes), Micaëla, Carmen, Armide, Armide, Fiordiligi, Così fan tutte (Guildhall Postgraduate Opera Scenes), Mrs Nolan, The Medium (Operaview, Grimeborn Opera Festival), First Lady, The Magic Flute (Opera Camerata), La Sorcière, Si l’enfant ne dort pas bien... (Edinburgh Festival Fringe) and Countess Almaviva, The Marriage of Figaro (Edinburgh Festival Fringe). Chorus appearances include Lakmé, Aida, L’amore dei tre Re, La bohème, Iris, The Queen of Spades (Opera Holland Park), Betrothal in a Monastery, The Cunning Little Vixen, War and Peace (Scottish Opera/Royal Conservatoire of Scotland) and The Magic Flute(Royal Conservatoire of Scotland). Solo concert performances include Schumann Scenes from Goethe’s Faust (London Symphony Orchestra conducted by Daniel Harding), a selection of Tchaikovsky songs and excerpts of the role of Tatiana, Eugene Onegin for the BBC Symphony Orchestra’s Beloved Friend series, Verdi Requiem (LSO, LSO St Luke’s), Handel Messiah(Berwick Arts Choir, K3A Orchestra, Harmonie Choir), Bach Mass in B Minor (Esterházy Chamber Choir, Corelli Ensemble), Poulenc Gloria, Duruflé Requiem (Edinburgh Bach Choir, Scottish Sinfonia), Schubert Mass in C and Beethoven Mass in C (East Surrey Choral Society). Lucy also appears regularly in recital across the UK. Recent highlights include a performance of Strauss songs at Barbican Hall for the LSO Platforms series and the Sir James Caird Centenary Concert at the Caird Hall, Dundee. Lucy has also appeared as a soloist with the Orchestra of Scottish Opera as part of the Children’s Classics Christmas Concerts. Future engagements include the roles of Blanche, Dialogues des Carmelites, Natasha, War and Peace and Virtù, L’incoranazione di Poppea for Guildhall Opera Course scenes. Lucy will also be covering the roles of Proserpina, The Tale of Januarie and Tigrane, Radamisto at the Guildhall School.